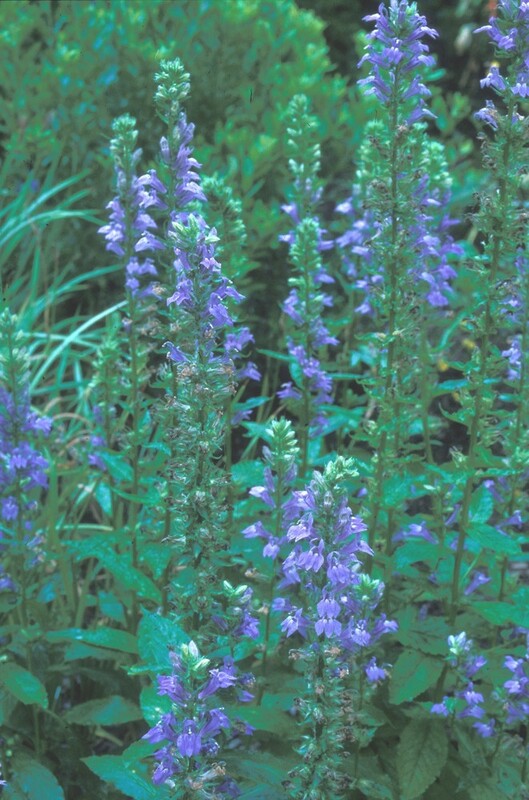 Great lobelia is not a true perennial because the shoots and associated roots die after the plant sets seed. 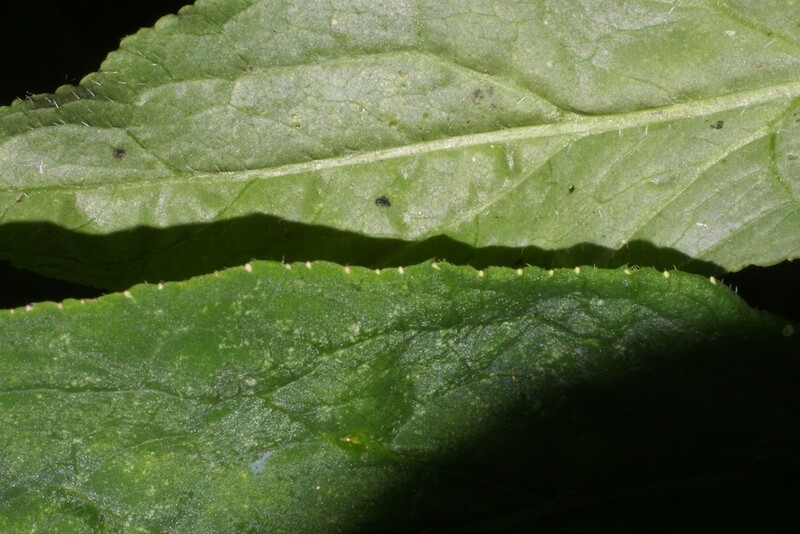 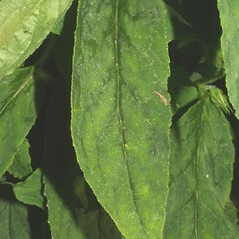 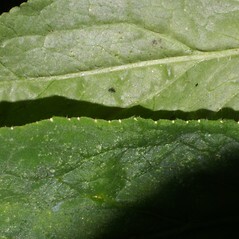 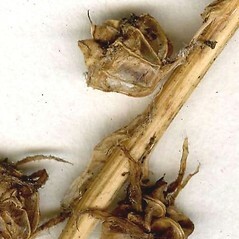 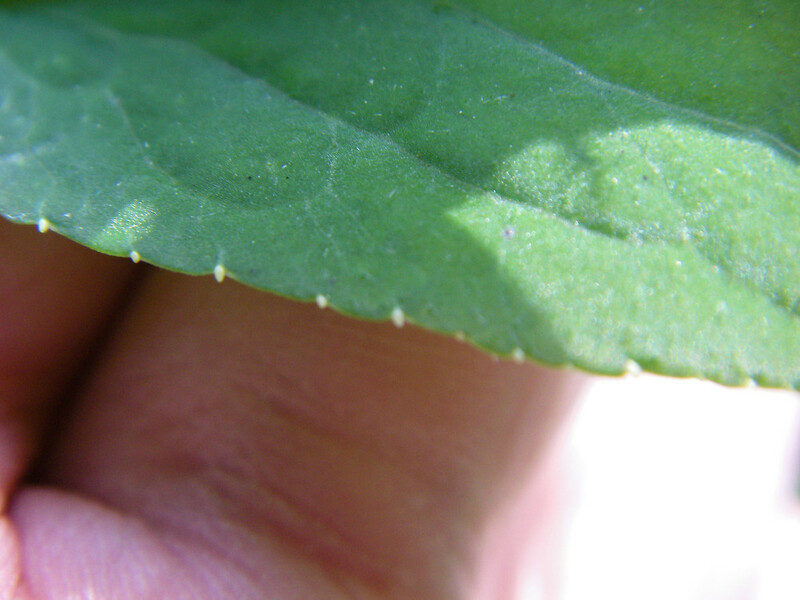 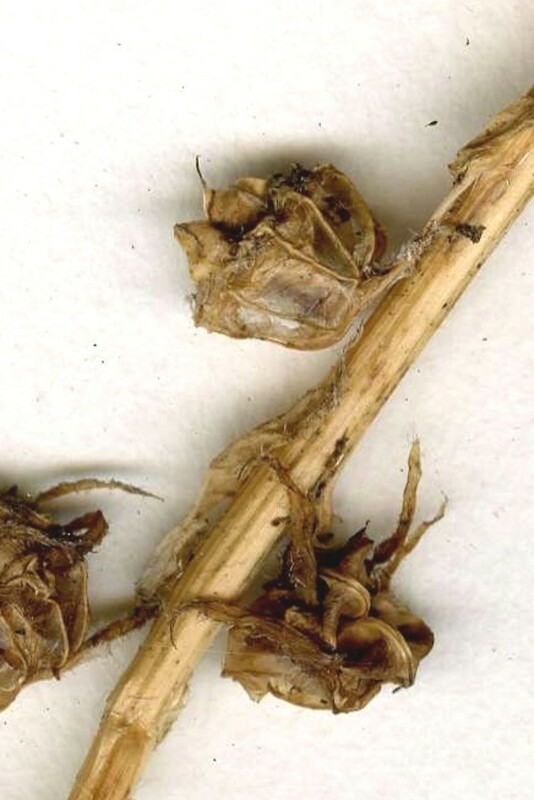 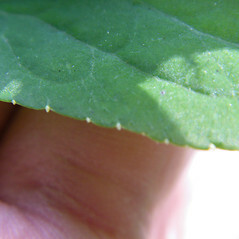 However, new shoots rapidly grow from the lower leaf axils and put down new roots. 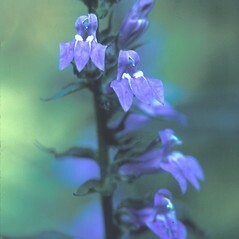 These form a new plant the following year. 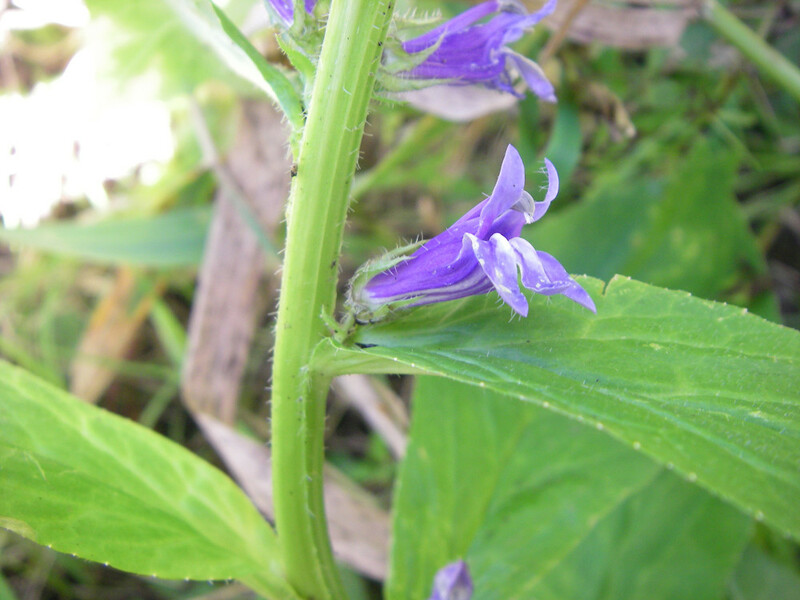 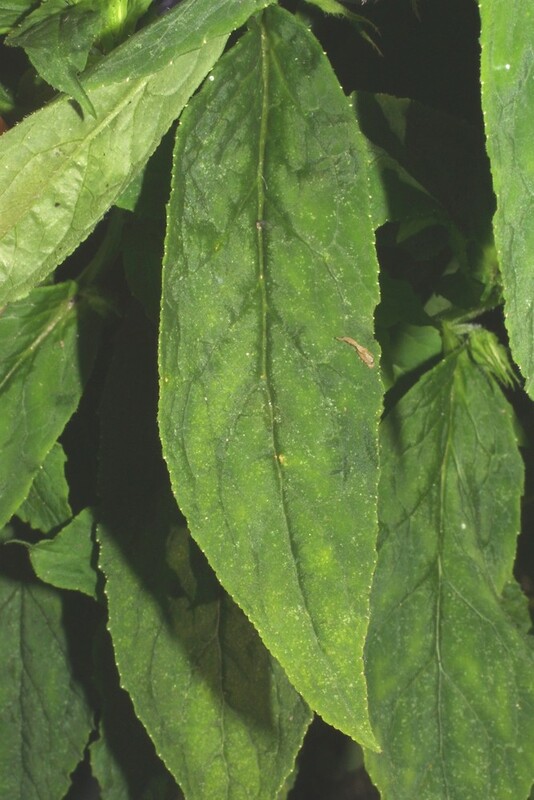 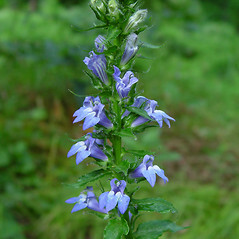 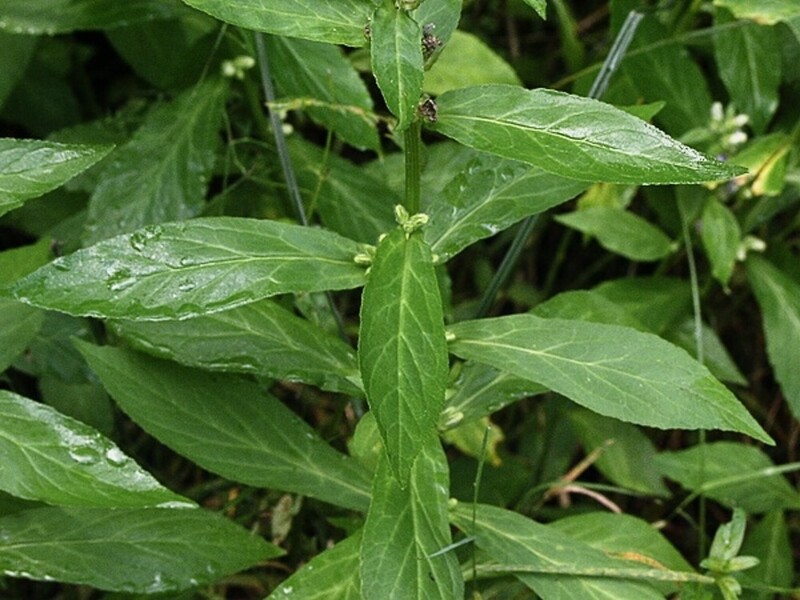 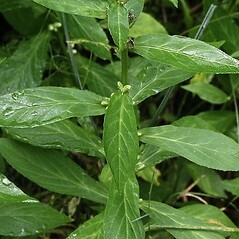 Our variety is Lobelia siphilitica L. var. 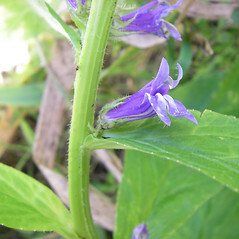 siphilitica. 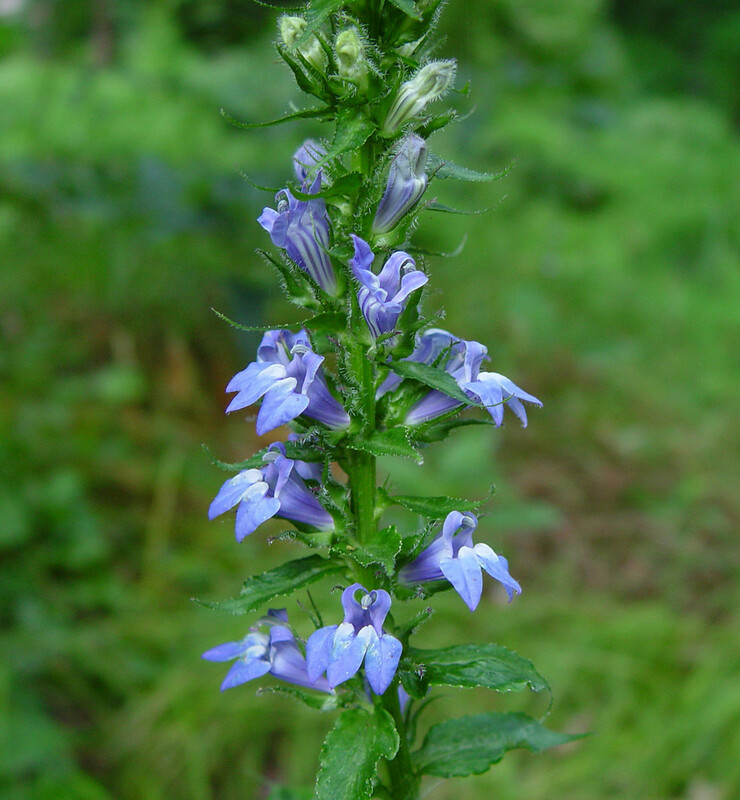 great lobelia. 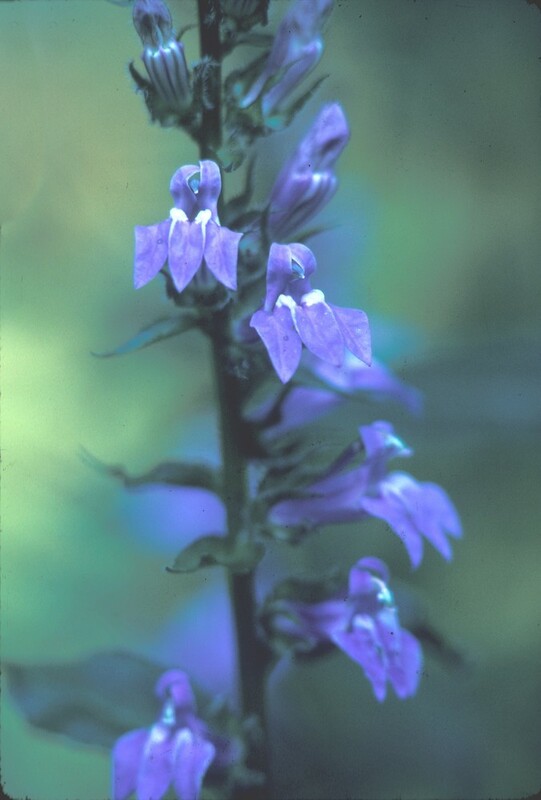 CT, MA, ME, NH, VT. Marshes, shorelines, wet meadows, open swamps. 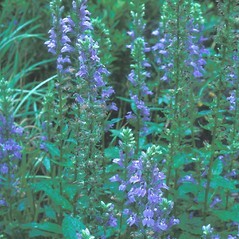 Considered introduced in eastern MA, but native to Berkshire County.